If this question has recently crossed your mind, we recommend that you book a consultation with our expert surgeon, Jeremy Latham. During the consultation you will be examined and we will review up-to-date X-rays of your hips. We will then be able to advise you on the most appropriate treatment for your condition. At least 100,000 hip replacements (arthroplasties) are done in Britain each year, and hip replacement is by far the most successful of orthopaedic surgeries. 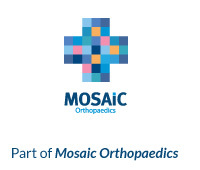 The operation is particularly effective for reducing pain and improving mobility. So if you are suffering from arthritis pain, hip replacement surgery could be a solution for you. Why do I need hip replacement surgery? The hip joint is a ball and socket. The ball is called the ‘head’ of the femur (the thigh bone) and the socket is called the acetabulum, which is part of the pelvis. Unfortunately, when your hip is arthritic and painful the options for hip treatment are limited. Painkillers and anti-inflammatories can help temporarily, but the side effects are sometimes unpleasant. We can inject a local anaesthetic and steroid to reduce the pain for a few months, but this is not a permanent solution. Sometimes the hip can collapse, which then makes surgery more complex. Keyhole surgery can be an option for certain conditions and your eligibility for this type of procedure can be determined with an MRI scan. 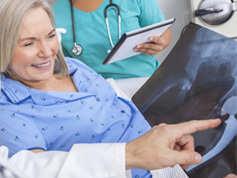 When do I need hip replacement surgery? If you notice that your pain is getting worse, or you are finding it difficult to move around, then hip replacement or resurfacing may be an option for you. Our expert team can guide you through the entire process, from consultation to surgery, through physiotherapy and beyond. We can’t stress enough the importance of speaking to a specialist consultant. If you’re in pain and would like to discuss your hip treatment options with Jeremy Latham, please use the contact details below.